Scoliosis is an unnatural curvature of the spine that often develops at a young age, but goes unnoticed due to minimal pain at its onset. It affects millions of people worldwide. If left untreated, scoliosis can worsen and lead to serious medical problems such as disfigurement, limited mobility, respiratory and digestive problems, and chronic debilitating pain. Infantile scoliosis is a lateral spine deviation occurring during the first 3 years of life and is twice as common in males. Approximately 74-97% resolve on their own but those that do progress do so in a severe and disabling manner. This condition is, however, rare in North America. Juvenile scoliosis refers to scoliosis occurring in children aged 3 until the age of puberty - approximately 10 years of age. Juvenile scoliosis can continue to progress in severity, therefore monitoring should take place every 3-6 months. Continual monitoring is performed through adolescence because of the high risk of progression. If progression occurs without appropriate treatment, severe spinal deformity and cardiovascular compromise can result. Adolescent scoliosis refers to scoliosis detected in those who have reached puberty but have yet to reach adulthood. This is the most common type of idiopathic scoliosis (unknown cause). 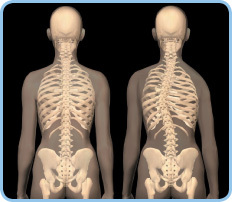 Like juvenile scoliosis, adolescents should be monitored until spinal maturity is reached to prevent possible progression and future health problems. 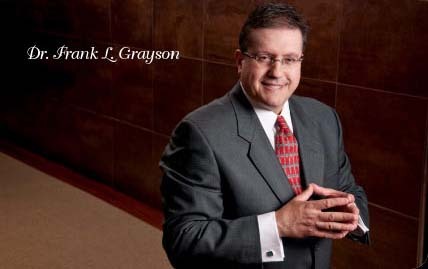 At Grayson Chiropractic Associates, we specialize in and frequently perform a wide variety of scoliosis treatments, so you can rest assured that your care will be handled by a team of highly skilled and experienced physicians. We are dedicated to providing the highest standard of quality in Chiropractic Care, and we use the latest, most advanced methods and technology to that effect. After an initial examination and consultation, we work with a team of multi-disciplinary medical professionals to classify your type of scoliosis and create a comprehensive, individualized treatment plan. With few exceptions, our procedures are non-surgical and non-invasive, and we take every measure to prevent discomfort during treatment. In some cases, surgery may be necessary to straighten your spine, but early detection can eliminate the need for such drastic steps. Whether you are already exhibiting symptoms of scoliosis or want to make sure you or your children never do - we have the expertise to help you achieve a healthy, pain-free spinal column and prevent any further curvature. For more information on scoliosis treatment or to schedule a consultation, please contact our office today.